What Makes a Facebook Post Go Viral? Latest great guest post from the talented MelanieBoylan In House 121 / Group #Training for your #Business | Train, Consult, Manage |@SMSummitIRLTeam | #SMClinicIre | #startups #socialmedia #mentorPublic #Speaker. See more about her here. Every business owner who uses Facebook for Business, wants their posts to go viral at some stage. However, it can be hard to understand what makes a Facebook post go viral. So much depends on so many things. Just as a start, these are some of the impactful reasons why a post goes viral. Outrage story – normally something seen as not societally acceptable. You could have any of these types of stories – but does that automatically make it a good one? In a word “No!” You need to post up something on your page at the right time, with the right message AND with the right image. Better still with a video! Over the past couple of weeks, the two videos below have come out and have been used in different ways. Both of them went viral however when they were shared on their respective Facebook pages. Obviously one comes from a very well known agency and the other was someone who was highlighting what they saw as an “injustice”. More about the second video shortly though. If you look at the link above to the original post it has had thousands of “reactions” and shares. No surprise there of course, but this generated it’s own “virality”. 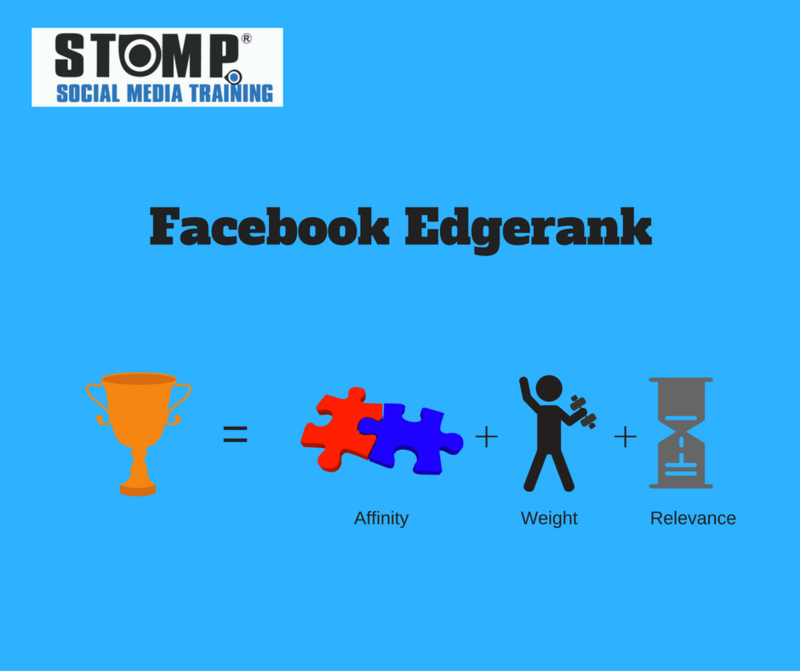 Facebook has this algorithm which measures Affinity, Weight and Relevance. When you get content that hits all three targets it really makes the difference in how the post goes viral. But what are these 3 measures about? Affinity (affinity score) is how much you get your fans engaging with your posts on the page. Are they spending time on your page and returning regularly? If so, then Facebook will automatically show them more often to them. Weight is when your fans are commenting, liking and reacting to your posts on a regular basis. There is more weight if your fans comment on your posts but still some weight if they do the others too. Relevance (time decay) is how old is your post? If it is put up at the right time for your fans to engage with your post then that’s fab! However, if you have the offer of a lifetime put up at 6am and your fans usually engage at lunchtime on your page, the relevance has gone. Your amazing post will not compete with the others showing up on your fans news feeds. This is known collectively at Edgerank too. Harvey Norman's airside swords folks…I wouldn't waste me time looking in here for a bargain…shop elsewhere for black Friday…these are a joke!! Now lets discuss the second video I mentioned above. This particular video rightly or wrongly went viral because of what was mentioned in it. Its’ been viewed over 1.2 million times and shared thousands of times. Lizzy only has 442 friends but she made her video Public so it spread much, much further than her friends. She obviously put it up at the right time and people shared and shared. As more and more people liked, shared and tagged friends the algorithm kicked in and made it available to more and more people. Video is much better than images these days – but images still have a firm place in social media. It is preferred that you provide clear, well lit, original images that are relevant and if you can, self branded! I personally use Canva to brand my images but that may change soon as I am now playing with Affinity Photo and Design. So for next years social media strategy see if you can set aside some time to ensure you create posts that meet these three requirements. The posts must have affinity with your audience, they need to like and tag on it and you need to put it up on the right day and time. If you have an event coming up next year that you are releasing a new service or product, this is something you can hope to make it viral!